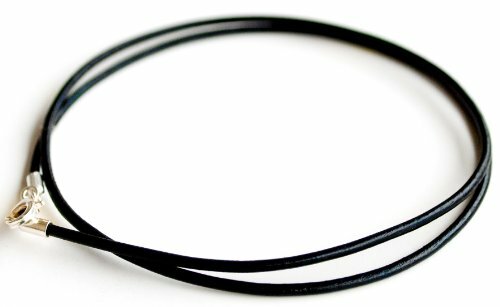 Warm dark brown leather cord necklace with sterling silver ends and clasp. 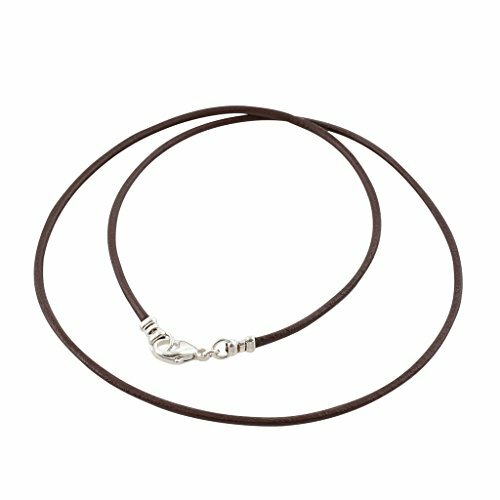 This fine 1.8mm brown leather necklace features bright sterling silver pewter ends and lobster claw clasp. 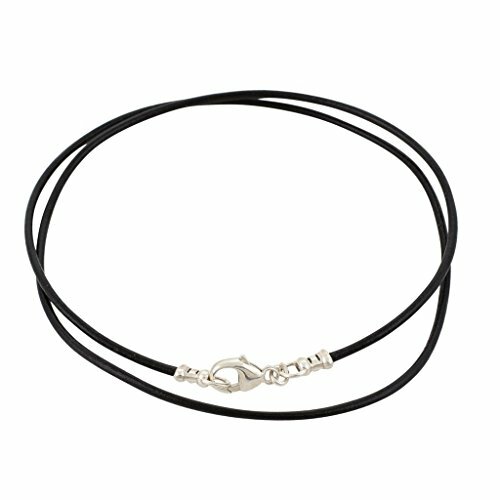 The leather is fine Greek cord, known for it's uniformity and high quality. Fits any pendant bail that accommodates 4.5mm by 2mm. 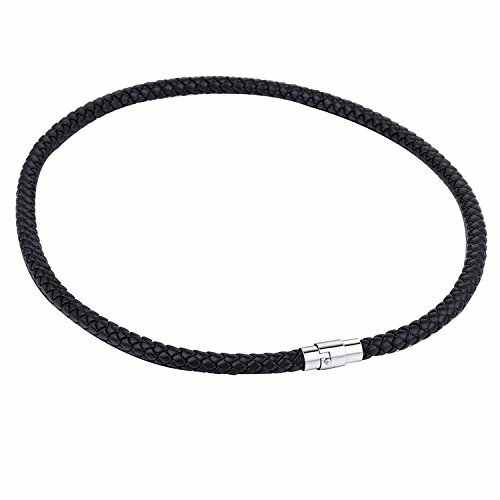 A great necklace cord to wear with silver pendants and charms. Available in a large variety of lengths from choker to extra long. Handmade in the USA exclusively by DragonWeave. 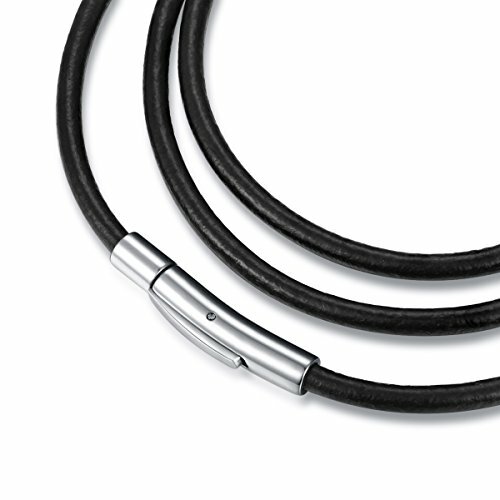 Bold, classic 3mm thick leather cord necklace with sterling silver ends and clasp. 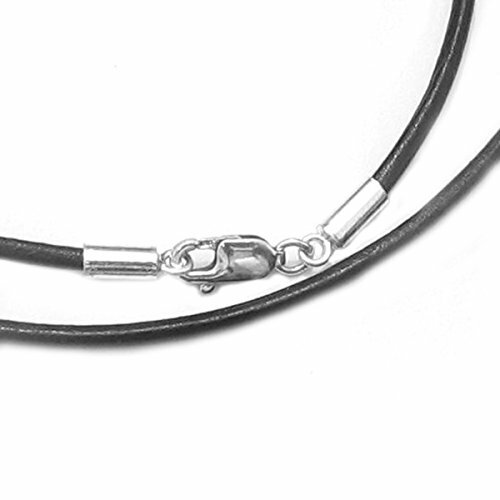 This thick 3mm black leather necklace features sterling silver ends and lobster claw clasp. The bright silver ends contrast beautifully against the black leather. The leather is fine Greek cord, known for it's uniformity and high quality, manufactured to be non-toxic and environmentally friendly. 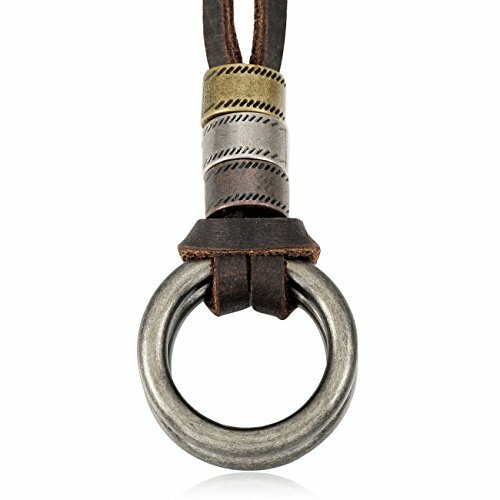 Fits any pendant bail that accommodates 4.5mm by 3.5mm. A great red leather necklace cord to wear with larger silver pendants and charms, or a nice contrast against dark pewter or gold ones. 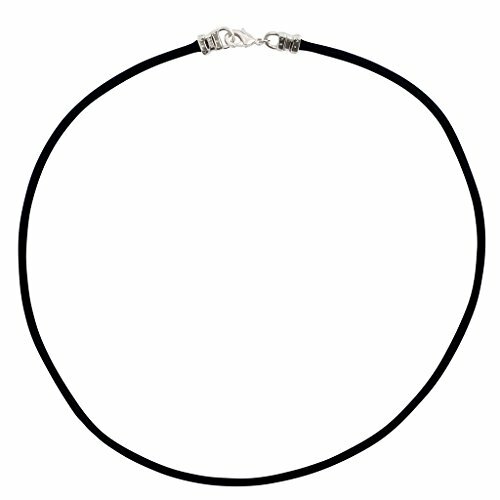 Available in a large variety of lengths from choker to extra long. Handmade in the USA exclusively by DragonWeave. Ended sterling silver lobster clasp, very secure. 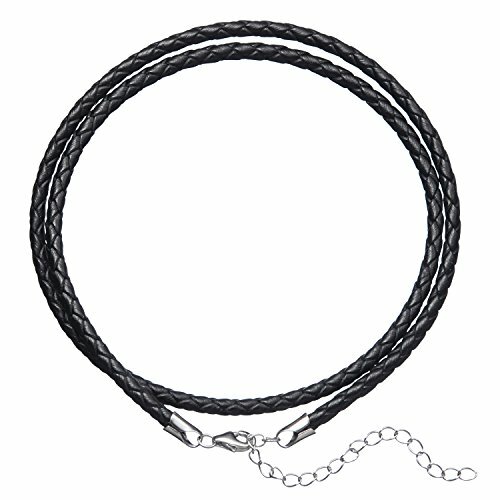 Looking for more Silver Leather Necklace similar ideas? Try to explore these searches: Internally Threaded Barbell, Rogar 48' Hanging Bar Rack, and Cacao Extra Dark Chocolate.